Introduced in iOS 11, designed to be used on iPads between multiple apps, but works also on iPhones within one app. All discussed code can be found in demo app. Drag and drop is built around a new concept called interactions. It works similarly to gesture recognisers. You can add drag and drop interactions to the views. The app from which items are dragged is called the source app. The app on which items are dropped is called the destination app. For drag and drop in a single app, the app plays both roles simultaneously. On iPhone, source and destination apps are the same. 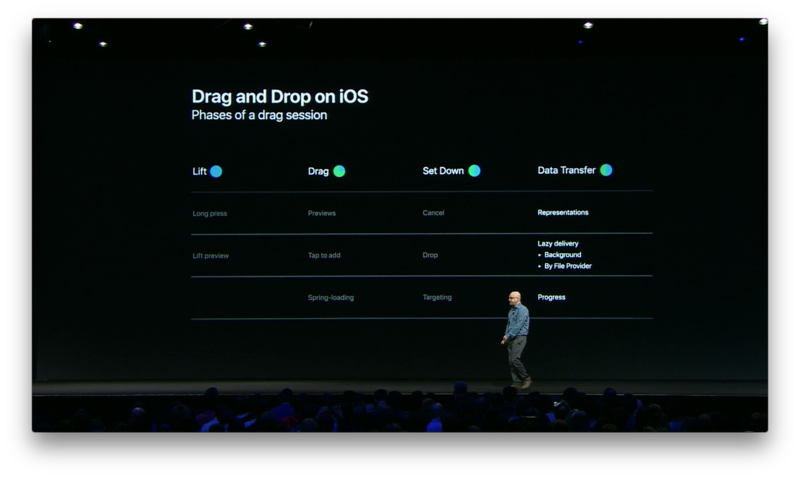 Drag and drop hasn’t got a straightforward path from lift, drag, possible drop and data transfer. There are multiple scenarios, check the image below to see how many. UIDragInteractionDelegate provides items which conform to NSItemProvidingWriting for drag, a preview for a dragged view, as well as animates items during lift-drop, and finally, monitors the session. Regulates if type of items contained by the session can be handled by delegate, in which way it proposes to handle the drop and does so of its own accord. Tells if the drop should be handled as copy, move or should be forbidden, cancel. 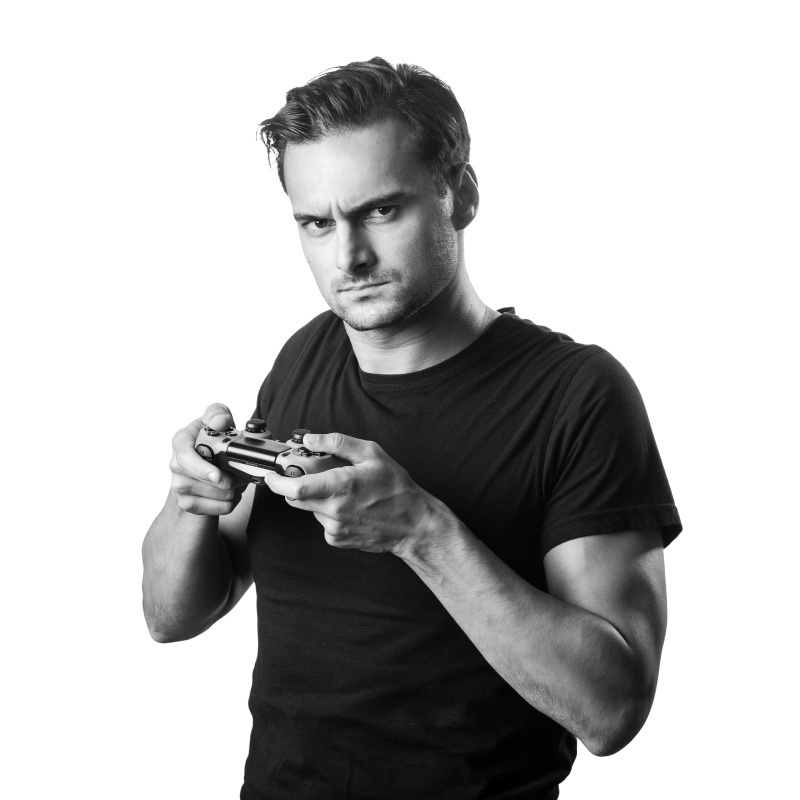 if you need lower level operation for loading an object, you can use item provider in an item which can provide an error when something goes wrong. The collection view has a drop and drag delegate of type UIDropInteractionDelegate and UICollectionViewDropDelegate. The table view delegates in a similar way. Both of them are akin to InteractionDelegates, but they are empowered with a coordinator which can enhance operations on collections. The coordinator can provide destinationIndexPath for the drop or tell how elements in collection should react to dragged items with UICollectionViewDropIntent. While loading the content of the dragged item, we can ensure placeholders for the UI. Having downloaded the data, the placeholder is altered with that data. UICollectionViewDropProposal is similar to UIDropProposal but, additionally, it contains UICollectionViewDropIntent. On top of that, it helps the collection to determine where the dropped items will be placed. localDragSession will be nil if the source app isn’t the same as the destination app. If you want to drag or drop a custom object, it should conform to the four basic criteria, implement NSItemProviderWriting and NSItemProviderReading protocols, extend NSObject, and be final. let imageData = Data(base64Encoded: json["image"] as! String)! Even if an iPad isn't the target device for your apps, it is worth adding intentions to iPhone apps. Drag and Drop is easy to use and customise.